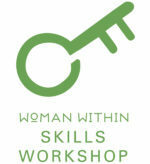 Skills Workshop: learn new ways to support others as you transform your own life. After your Woman Within Weekend you may be full of energy and keen to enrich your relationships from this new place of strength and positive energy. The Skills Workshop offers a chance move forward with what you reclaimed at your Weekend and to develop the skills to help you integrate this into your life, while supporting others from a place of further wholeness. Learn how to hold boundaries and to ask for what you need without shame, anger or apology. Form deeper connections with yourself and others by holding yourself accountable to the positive things you claimed for yourself on your Woman Within Weekend. Two days over a weekend; non-residential. If you do not see an upcoming workshop scheduled, please be sure to submit our form so we know of your interest. Formerly called Women Empowering Women. What additional programs would you like to see us bring to our region?